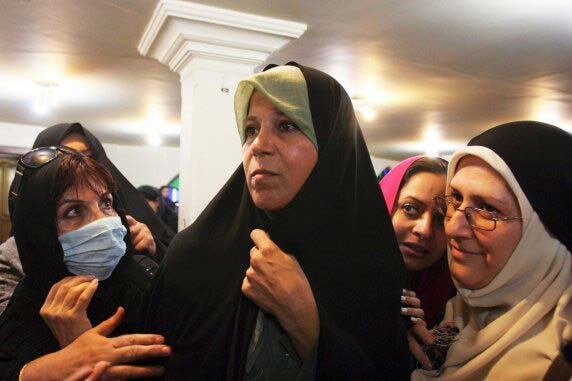 Faezeh Hashemi Rafsanjani, an Iranian political activist and the daughter of the head of Iran's Expediency Council, has been arrested at her home and transferred to Evin Prison in Tehran. The head of prisons told the Mehr News Agency that Faezeh Hashemi was arrested on orders from the prosecutor to serve out her prison sentence. Faezeh Hashemi was sentenced last year to six months in jail and a five-year ban from political, cultural and media activities for the charge of "propaganda activities against the regime." 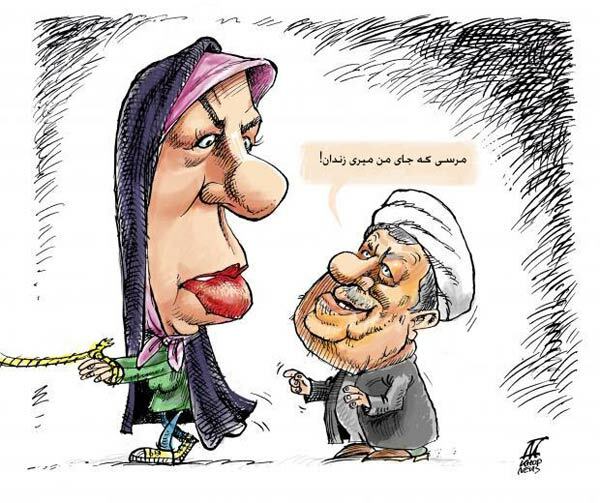 The charge was in connection with an interview Faezeh Hashemi had given to the Rooz-on-line website in which she referred to the Iranian judiciary as "thugs and hoodlums who [target people] in the name of Islam, the Revolution and its values." The Kaleme opposition website reports that Evin Prison authorities called Hashemi on Saturday and told her she should report to the prison on Saturday afternoon in order to serve out her sentence. She reportedly told them that she would report to their office the following day, after which security officers entered her home at 11 PM and arrested her. According to the head of prisons, Hashemi will serve her sentence in the women's security ward of Evin Prison. 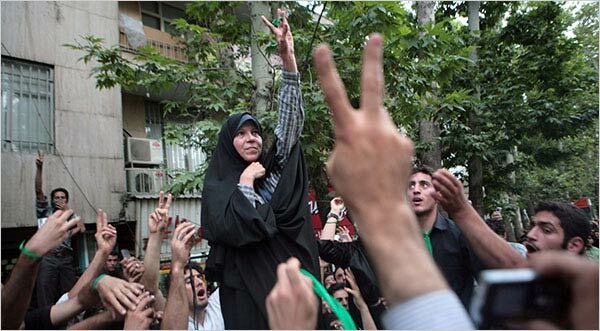 Faezeh Hashemi was briefly arrested on several occasions during the election protests of 2009, when Mahmoud Ahmadinejad's victory was being challenged by mass demonstrations across the country. Faezeh Hashemi is the editor-in-chief of "Zan" (woman) newspaper. The Iranian judiciary is also pursuing another offspring of Ayatollah Hashemi Rafsanjani, the moderate cleric who cautiously sided with protesters after the 2009 presidential elections. His son, Akbar Hashemi, is currently in Britain. Akbar Hashemi is also accused of involvement in the 2009 protests, which the authorities refer to as sedition. Ayatollah Hashemi Rafsanjani was seriously sidelined after the crackdown on the 2009 election protests and was removed from his role as the head of the Assembly of Experts.